When a company takes a product that is already economical, exciting and inspiring to drive, and decides to improve it the results should be memorable. 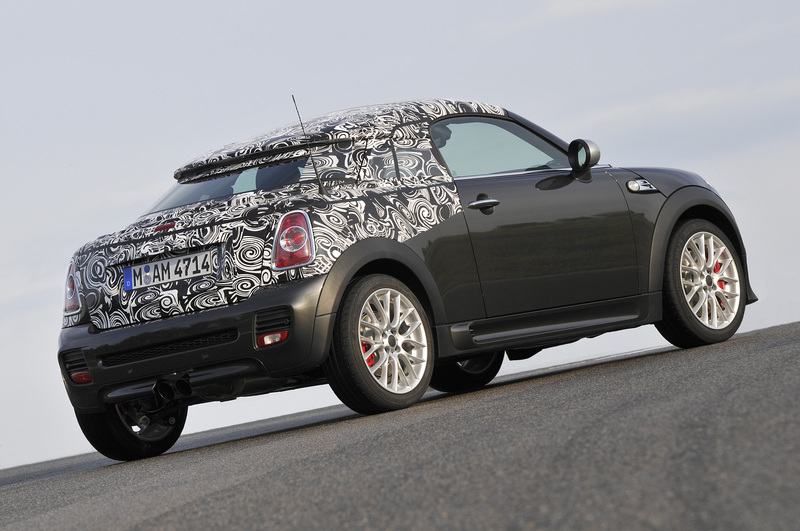 Mini has revealed spy photos of the upcoming 2012 Mini coupe. Like the current Mini hatchbacks the handling and driving pleasure of the coupe promises to be go-cart like. Even though the example we had the chance to drive, a 2005 Cooper S was supercharged and not turbocharged like the current Mini Cooper S the result was nonetheless memorable. The handling is, well, superb. The small dimensions and tight suspension, combined with a supercharged four-cylinder makes driving through corners and winding on-ramps effortless and extremely enjoyable. The new Mini Cooper coupe will be available in four different variations, each of which vary in the amount of horsepower their power plants produce. The entry-level Mini Cooper coupe is powered by a 1.6-liter four-cylinder gasoline engine with fully variable valve management based on the BMW Group’s VALVETRONIC technology. The naturally aspirated four-cylinder produces 122 hp at 6,000 rpm and 118 lb-ft of torque at 4,250 rpm. The estimated fuel economy of this version is impressive. According to the new EU driving cycle the entry Mini Cooper coupe gets 52.3 mpg imp. If you think those numbers are impressive, waiting until you hear about the Mini Cooper SD coupe. The SD coupe is powered by a 2.0-liter four-cylinder turbodiesel with aluminium crankcase, common-rail injection and variable turbine geometry. It puts out 143 hp at 4,000 rpm and 225 lb-ft from 1,750-2,700 rpm. As with many newer compact turbodiesels, the fuel economy is remarkable. The SD coupe is estimated to get 65.7 mpg, according to the EU standard. However, if you would like your car to have more punch you can choose from the two most powerful, agile and race-inspired versions of the Mini coupe. The first of these aggressive Mini coupes is the Mini Cooper S coupe. The S coupe features a boosted 1.6-liter, four-cylinder gasoline engine with twin-scroll turbocharger, direct injection and fully variable valve management. The result of this engine is 184 hp at 5,500 rpm and 177 lb-ft at 1,600-5,000 rpm. 192 lb-ft is available via the overboost function from 1,700-4,500 rpm. If you desire the ultimate in performance then you will want the John Cooper Works coupe. This special Mini has the most powerful engine available with an impressive 211 hp at 6,000 rpm and 192 lb-ft at 1,850-5,600 rpm. As with the S coupe the JCW coupe has an overboost function, giving the driver 207 lb-ft from 1,700-4,500 rpm. 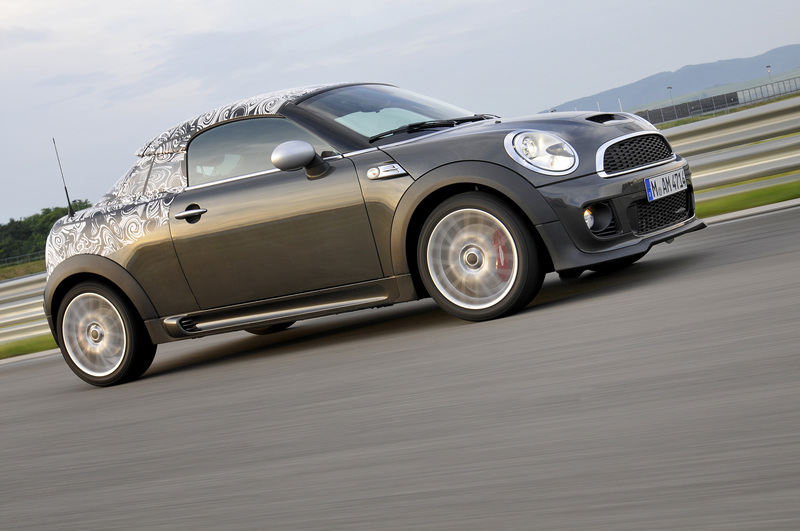 The JCW coupe can accelerate from 0-62 mph in 6.4 seconds, with a top speed of 149 mph. Just in case you’re worried about sacrificing gas mileage and efficiency for performance you can relax. 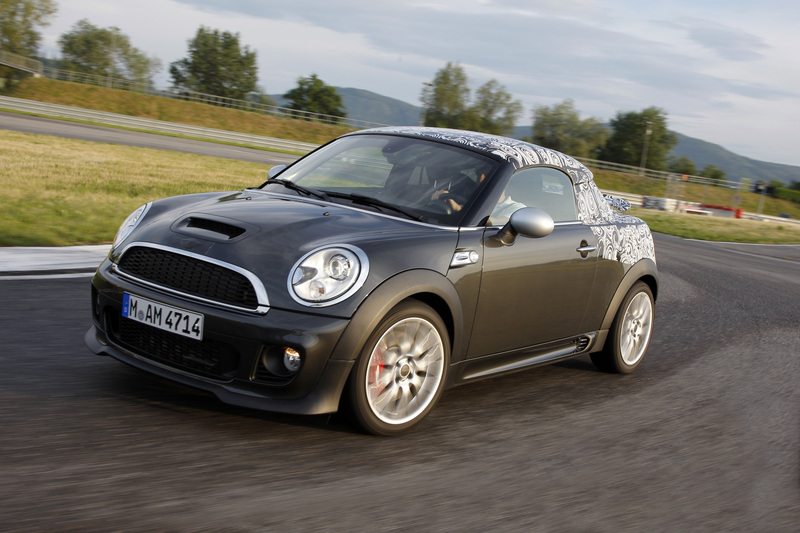 Despite being the high-end versions the Mini Cooper S and JCW coupe get an estimated 48.7 mpg and 39.8 mpg respectively.